The Sports industry is eagerly adopting new technology to enhance both athletic and commercial performance. Artificial intelligence is a hot topic, impacting everything from Wearable Tech to Chatbots providing customer service for sports fans. But how can AI help sport brands exploit their content more effectively to optimize customer journeys and grow sales. 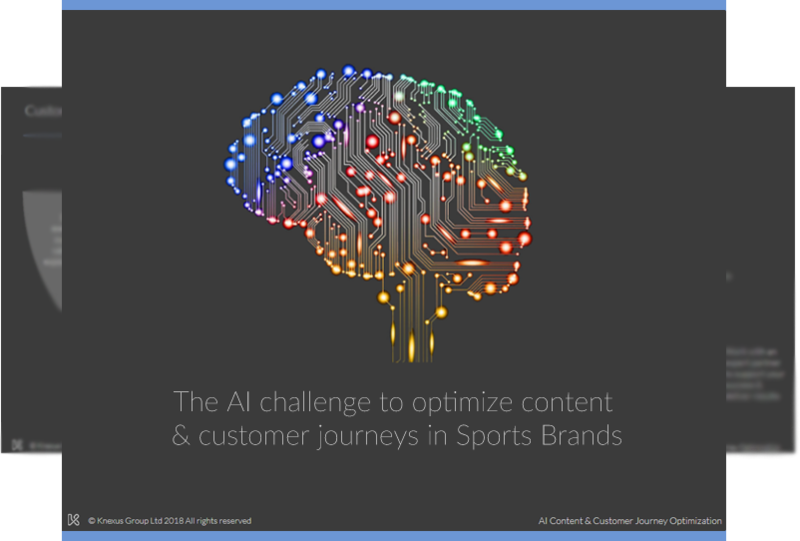 Knexus, the experts in AI optimized customer journeys using marketing and social content, are running a series of exclusive, private briefings with leading Sports brands to address the challenges and practical steps for success.